Muhammadu Buhari on Tuesday visited the Auschwitz-Birkenau Memorial and Museum, in Oświęcim, Poland where he paid tribute to Holocaust victims. 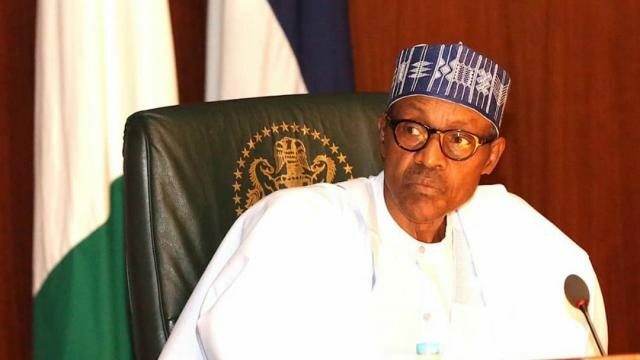 This information is contained in a statement by the President’s Senior Special Assistant on Media and Publicity, Malam Garba Shehu in Abuja on Tuesday. Shehu stated that after a guided tour of the Museum, devoted to the memory of the victims who died at both camps during World War II, Buhari penned a hand-written tribute in the visitor’s book, quoting Shakespeare’s ”Julius Caesar”. He wrote: “The evil that men do lives after them; the good is oft interred with their bones”. According to the presidential aide, Buhari is on Day Four of his visit to Poland, where he had attended the opening of the UN Climate Change Conference in Katowice. The President had delivered his national address at the 12-day meeting of COP24, met with several world leaders and visited the impressive Nigerian pavilion at the climate summit. Buhari had earlier attended a town-hall meeting with Nigerians in Poland, a day after his arrival in the country.